Dainese improves the latest generation of their Motorshoe D1 Air Women's Shoes by adding just a bit more protection to their sporty urban riding shoe. A newly added TPU shift guard holds up to banging up the gears pulling away from stoplights. A new reinforced heel counter supplements the safety. 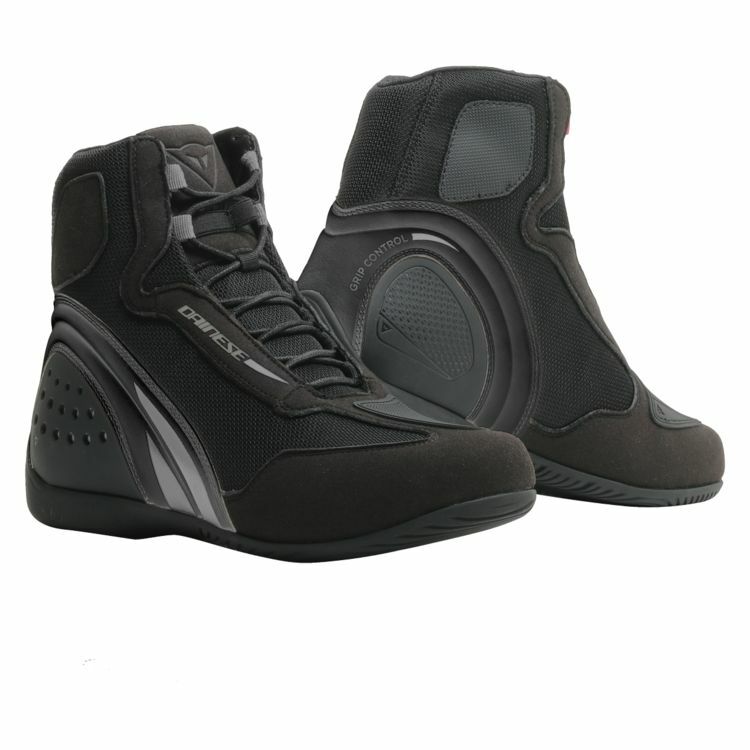 Polyurethane grip panels on the medial side of the boot make sure you get positive feedback from the motorcycle. The Dainese Motorshoe D1 Air Women's Shoes are the hot weather riding shoe you need to ride through the sweltering urban jungle. How high are they in inches?